Workshops, creative recipes, crafts, and games that will help you prepare for Santa's visit. Finger puppets, activity sheets, posters, scrapbook pages, nametags, and so much more Christmas fun! 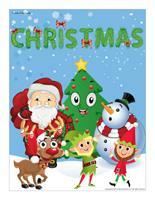 (Open thematic poster-Christmas 2013) Print, laminate, and decorate the walls of your daycare with all kinds of posters. (Open absentee list-2014) Print and display. 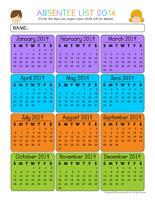 This tool will help you plan, with parents' help, the days when children will be absent during the upcoming year. (Open perpetual calendar-Christmas vacation) Print and display to remind parents of the dates your daycare is closed for Christmas vacation. (Open poster-Have a wonderful Christmas vacation) Print and display. This special tool was created in response to a special request received. 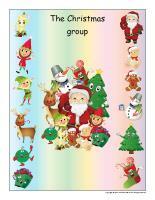 (Open group identification-Christmas) Print and display in a specific location or in your circle time area. Is Christmas celebrated throughout the world? How does Santa Claus travel around the world? Does Santa Claus live alone? If not, who does he live with? How do we decorate for Christmas? Which gift do you hope to receive on Christmas morning? What do you hang in your Christmas tree? (Open Poni discovers and presents-Santa's reindeer) Print the cards, laminate them, and cut them out. 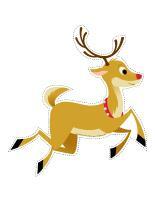 Use a Poni puppet (or any other puppet children are familiar with) to present Santa's reindeer to your group. Variation: Print two copies of each card and use them as a memory game. (Open Poni discovers and presents-Christmas) Print the cards, laminate them, and cut them out. Use a Poni puppet (or any other puppet children are familiar with) to present the Christmas items to your group. Variation: Print two copies of each card and use them as a memory game. (Open educa-chat-Christmas) Print, laminate, and deposit the questions in a box. Children take turns picking a question out of the box. Also print the "It's my turn" card. Laminate it and attach a Popsicle stick to the back. This card will help children remember to respect the turn of the child who is speaking. You may also use the Poni puppet which may be purchased on the educatall online store or any stuffed animal you may have which works with the theme. Obviously, this list of questions is incomplete...you may add your own! 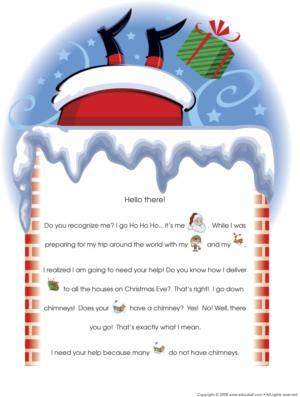 (Open educa-chat-Christmas) Print, laminate, and store in a box. The questions will help children develop their sense of observation, their vocabulary, their thoughts, and their ability to cooperate with others and wait for their turn, etc. This tool will help you lead a successful discussion period regardless if the children in your group are all the same age or not. It will also guarantee you make the most of your theme. 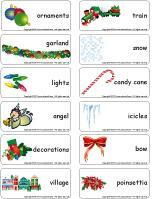 (Open giant word flashcards-Christmas) Print, laminate, and display the word flashcards on the wall near your circle time area or on a piece of cardboard which can easily be moved in your daycare. The educatall team suggests an imaginary game you can play with your group. 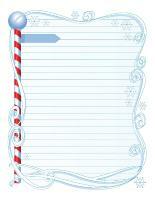 (Open thematic letter-Christmas) Print the letter and insert it in an envelope. Place the envelope in an easy to find location in the daycare. During circle time, ask children to find the letter and read portions of the interactive story to them each day. This thematic letter suggests ten different activities. Select the ones which you consider are the most appropriate for your group. Adapt your suggestions to the children under your care as you see fit. There are no predetermined days or timelines. You may use the letter for inspiration or replace the activities with other ones within the theme. The goal of the thematic letter is to bring the magic which surrounds Christmas into your daycare. Select a different child each day to play the role of Santa Claus. Let him wear Santa's hat. He will be your helper during circle time, snack and meal time, etc. The child who is Santa for the day shall be granted several privileges. You can, for example, purchase an Advent calendar and have him open the day's window (and eat the chocolate of course!). Another idea may be to give the child permission to choose a daycare toy or stuffed animal he may bring home for the night. Be sure to give each child a turn. (Open educ-chat-Christmas) Educ-chat is a game which contains a variety of illustrations representing subjects, verbs, and objects children can use to make complete sentences and build their vocabulary. Print, laminate, and cut out the cards. Make three piles (subjects, verbs, objects). Ask a child to pick three cards, one from each pile, and read the sentence. The sentences will sometimes be silly, but you will surely have fun! You may also choose to place the cards yourself and ask a child to read the sentence. (Open thematic letter-Achoo the elf) Print the stories and prepare the scenario. Create a glittery envelope. When you wish to present an activity, add a letter from Achoo the elf to the envelope and hide it within the daycare. Wait for children to find it. 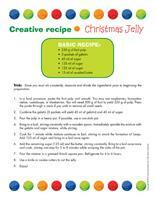 Read the letter to your group and follow the instructions to add a touch of magic to your Christmas preparations. 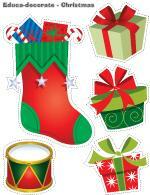 (Open educa-decorate-Christmas) Print, cut out, and laminate. Decorate your walls and hang decorations from the ceiling to set the tone for your theme. (Open Christmas workshops) Print and display. Use them to identify your workshops throughout your Christmas theme. 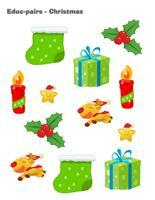 (Open Stickers-Christmas) Print the pages on adhesive paper to create your own original Christmas stickers. 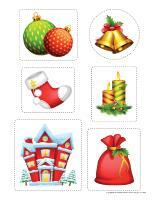 (Open educa-theme-Christmas) Print and laminate the items that represent the theme. These illustrations will help you present your theme to your group (and their parents) as well as decorate your daycare. 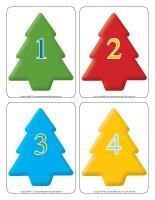 (Open educa-numbers-Christmas) Print and laminate the posters. Display them on a wall throughout the theme. 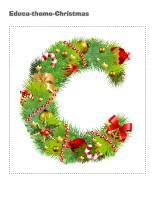 (Open educa-letters-Christmas) Print and laminate the posters. Display them on a wall throughout the theme. 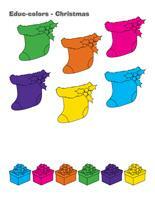 (Open garland-Christmas stockings) Print and cut out the different Christmas stockings. 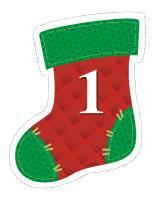 Assemble them to form a garland or Advent calendar to decorate your daycare or cloakroom. (Open Christmas nametags) Print and display. (Open Christmas string) Cut out the models. Deposit them on folded pieces of paper and cut out the shapes, leaving the edge intact so that when you unfold the paper, you have a string of Christmas shapes. 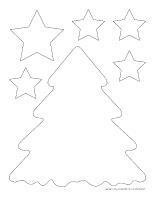 (Open garland-O Christmas tree) Print and cut out the Christmas tree shapes. Assemble them to form a garland that can be hung within your daycare or in your cloakroom. (Open garland-Gifts) Print and cut out the gifts. Assemble them to form a garland that can be hung within your daycare or in your cloakroom. The pictures may be used as a memory game or to spark a conversation with your group. Use them to decorate the daycare or a specific thematic corner. (Open picture game-Christmas) Print, laminate, and store in a Ziploc bag or in your thematic bins. (Open educa-connect the dots-Christmas) Print and laminate the activity sheet. 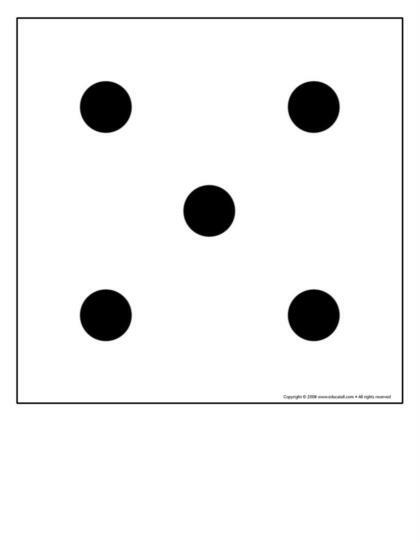 Children must connect the dots in numerical or alphabetical order to reveal the drawing. They can color the picture when they are done. 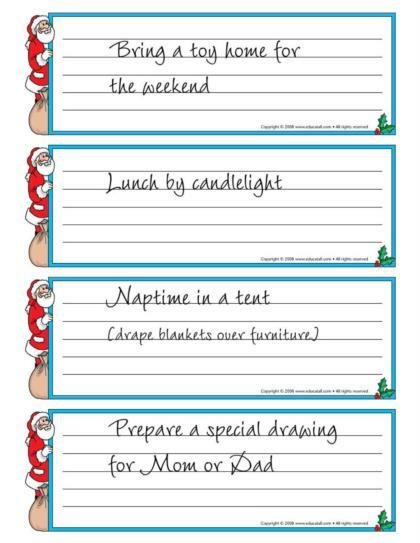 (Open writing activity-C like Christmas) Print for each child or laminate and use with an erasable marker. (Open writing booklet-Christmas) Print for each child. Encourage children to complete their booklet during writing workshops. (Open stationery-Christmas) Use this thematic stationery to communicate with parents, in your writing area, or to identify your thematic bins. Print. (Open model-Letter to Santa) Ask children what they would like Santa to bring for them this year. Write their suggestions in a letter to Santa. Have each child draw a picture and include the drawings with the letter. Mail everything to Santa. Variation: For younger children, have them cut or tear the toys they like most out of a catalogue. You may cut out the picture of the toy which seemed to interest very young children most and glue it on a piece of paper together. Santa reminds you of the importance of including your return address so he can respond to the letters. 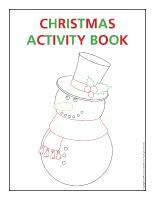 (Open activity sheets-Christmas activity book 2013) Print the pages and use them to create a workbook for each child. Throughout the month of December, children can complete the pages. o	Beat all ingredients together, pour into attractive glasses, and top with grated nutmeg. Serve immediately. 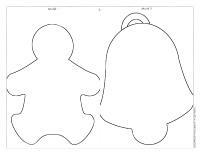 (Open finger puppets-Christmas) Print and laminate the puppets and punch holes where indicated so children can insert their fingers. Children will enjoy creating stories with the puppets. (Open felt Christmas tree) Trace a large Christmas tree shape on several pieces of green felt that have been glued together. Trace the decoration models on contrasting colors of felt. Children will enjoy decorating the Christmas tree over and over again. (Open felt board-Christmas) Print the items and glue them on pieces of colourful felt. Glue four pieces of black felt on a piece of cardboard and display your felt board on a wall. The felt shapes will easily stick to the felt board. Children will enjoy creating different scenes and stories. (Open scene-The North Pole) Print, laminate, and cut out the various items. Children use the items to decorate the scene. 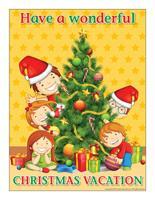 (Open sequential story-Christmas tree) Print and laminate the illustrations. Have children place them in the correct order to recreate the story. (Open picture clue story-The Magic Christmas Key) Print. Sit in a circle with your group. Begin reading the picture clue story. Pause for each picture clue. Point to the clue and have children guess the missing word. Complete the activity by making your own magic Christmas key. Children will love to take it home. (Open gift distribution) Print the gifts and secure them on the floor using adhesive paper to create a path leading to the areas children visit most within the daycare (bathroom, cloakroom, sink, etc.). (Open poster-Special Christmas hand washing) Print and display in the area where children wash their hands. Use a clear soap dispenser and clear liquid soap. Insert green and red building blocks, plastic Christmas figurines, Christmas-themed mini erasers, etc. in the soap dispenser. Use a clear liquid soap dispenser and add color to your liquid soap. Avoid food coloring since it can stain. Use the felts of old markers. Simply drop them in the soap dispenser for 24-48 hours to create the desired colors. Keep in mind that even if your markers do not write well anymore, there is still a lot of color left in the tubes. This is a great way to use them. Create your own scented liquid soap by adding a few drops of peppermint oil, candy cane pieces, or a dash of cinnamon to unscented liquid soap. Purchase green and red sponges and let children use them to scrub their hands. Glue Christmas illustrations on the floor to delimit your hand washing area. Display Christmas-themed hunt and seek activities on the wall. These will keep children busy while they wait for their turn to wash their hands. Play Christmas music and play musical hand washing. Each child gets one song to wash his/her hands. When the music stops, it's the next child's turn. (Open game-This is my spot-Christmas) Print two copies of each illustration. Use Mac-Tac to arrange one copy of each illustration on the table. Place the second copy in a bag. Children take turns picking an illustration to determine where they must sit at the table. You may also use the illustrations to determine the children's naptime spots or their place in the task train. Transform yourself and play the role of the Christmas fairy for lunch. Play music and turn the lights off. Prepare a candlelit lunch for your group. Whenever you are moving from one area to another, practice singing your Christmas songs as you walk. Before naptime, children sit with a partner. Show them how to massage their partner using a Christmas ball (plastic). In order to respect each child's personal "bubble", begin gently with feet, hands, back, etc. Cut a large piece of adhesive paper. Remove the paper backing and deposit it on the floor, the sticky side facing upwards. Visually separate the paper into two equal parts. On one side, add a few tablespoons of green, red, and white paint. The quantity depends on the size of your paper. Fold the paper in two and secure your paint-filled envelope on the floor with adhesive tape on all sides. Encourage children to walk on the envelope to mix the paint colors together. If you wish, you may glue several paint-filled envelopes on the floor throughout your daycare. Check the edges of the envelopes frequently to guarantee they are still perfectly sealed. You will need Christmas garlands. Cut them so you have several pieces. Each child chooses a partner. They take turns gently touching (and tickling) each other's arms, hands, neck, and tummy with the garland pieces. Collect a variety of hats, types of fabric, and headbands which represent Christmas characters and deposit them in a bin. Let children try them on and admire themselves in a mirror. You may also take pictures. Display them on the wall. Use several different sizes of clear plastic bottles. Fill them with miniature erasers, confetti, candy or other Christmas-related objects. Paint the tip of each child's nose red and encourage them to look at themselves in a mirror. If you have a reindeer headband, have babies try it on. They will love it! Provide babies with a large bin filled with Christmas decorations (unbreakable ornaments, garlands, etc.). 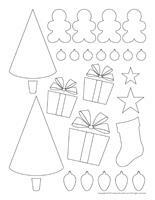 (Open Christmas tree decorations) Print, cut out, and laminate the illustrations. Prepare an obstacle course and deposit the decorations throughout the course. To the sound of music, children complete the obstacle course and collect a decoration. Once the obstacle course is completed, have them hang their decoration on a Christmas tree (a real pine tree, an artificial tree, or a paper Christmas tree). What a wonderful collective project! (Open model-gifts) Print and cut out enough gifts so there are at least ten per child. Deposit all the gifts in the centre of a parachute or blanket. Children firmly hold the edges of the parachute. When you give the signal, they raise the parachute. When the gifts fall back down, children try to collect as many as possible. Have them count the gifts. Variation for younger children: Have them try to catch gifts you release from high above their heads. Tap into children's imagination. Ask them what they like most about Christmas then pretend it is Christmas Eve. Provide wrapping paper and ribbon. Have children wrap toys within the daycare. Together, pretend it is time to open them, etc. Variation for younger children: Allow them to manipulate wrapping paper, bows, etc. They can tear the paper into tiny pieces, crumple it into balls, stick bows on themselves, etc. Have a mirror handy! Ask children to sit in a circle. One child wears Santa Claus' hat. Play music and have them pass the hat around the circle. The child wearing the hat when the music stops selects a Christmas carol for the group to sing. The duration of this game varies according to the group's interest. Instead of a Santa Claus hat, you may use antlers or earmuffs. Children must place the hat on their head before passing it along to the next player. Draw a large bell on a coloured piece of cardboard. Use ribbon to attach tiny bells to it. One at a time, children throw bean bags towards the large bell and try to make the tiny bells jingle. Children take turns playing the role of Santa Claus. The other children are elves. The elves hide Santa's hat while he is another room. Once this is done, Santa returns and must find his hat. The game continues until each child has had a turn. Variation for younger children: You are the elf. Hide several hats in easy to find places throughout the daycare. Children all pretend to be Santa and search for the hats. Divide the group into two teams. Each team must have ten gifts. You will need two large bags. Children stand single file. They pass gifts up their team's line through their legs. The first team to have deposited all their gifts in their bag wins. This game is a lot like the cat and mouse game. Children are sneaky elves who steal gifts. There is one (or two depending on the size of the group) good elves among them. The good elf tries to capture the sneaky elves. Once he touches a sneaky elf, they hold hands and team up to try to catch the other elves. 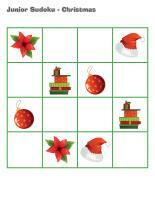 (Open game-Christmas Twister) Print and place the large designs on the floor in a 4 x 4 sq. ft area. The leader of the game selects one Christmas card and one body part card. He calls out the cards as you would in the traditional Twister game. For example, he might say, "Place one foot on the bell." 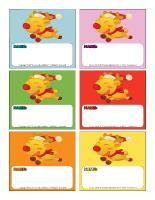 Variation for younger children: Use the cards to decorate the daycare or play a recognition game. Have children find various cards. Babies will admire the cards if they are set on the floor. This game requires ten 1-Litre bottles with approximately an inch of water in each one. Glue a Christmas design onto each bottle. Children use a small ball to try to make a specific bottle fall down. You may call out the object or you may have a second set of Christmas designs and have children pick cards. Variation for younger children: Line up the bottles and provide children with small balls. They can make any bottle fall down. You may add food colouring or various objects to the bottles. Cotton balls, sparkles, and confetti are all great additions. Children can shake the bottles. Each child wears antlers or a Santa Claus hat (crafted or store-bought) around the obstacle course. Include a beam (walking on the roof), a tunnel (going through the chimney), a table (milk and cookies), etc. Have children transport gifts to a specific location. Remember to play Christmas music! Reindeer must be strong for their trip around the world with Santa. Pretend to be Santa. Lead a workout session for your reindeer! (Open model-Santa and elf footprints) Print and deposit on the floor throughout the daycare. Have children walk with heavy steps on Santa's footprints and light steps on the elf footprints. Children are seated in a circle. Select a child to be Santa. He sits in the centre of the circle with his eyes closed. Children pass a gift around the circle while music plays. When the music stops, children all keep their hands behind their back. The child in the centre must guess who is holding the gift. Divide children into teams. Deposit Santa clothing at the other end of the room. Children must dress up as Santa, return to the starting line, remove the clothing and give it to the next child in their team. You may use large rain boots, a toque, a large red vest, etc. Variation for younger children: Place a large box filled with clothing in the centre of the room. Allow children to discover its content. Help them dress up with the clothing they prefer. Wrap a gift with several layers of adhesive tape. Sit in a circle with the group. Deposit mittens and a tuque in the center of the circle. One at a time, children roll a die. The object of the game is to roll a "1". When a child succeeds, he puts on the mittens and toque and tries to open the gift. When another child rolls a "1", it is his turn to put on the mittens and toque and try to open the gift and so on. The game ends when the gift is completely open. Variation for younger children: Wrap the gift with only one or two layers of wrapping paper and a small quantity of adhesive tape. Provide children with mittens and let them open the gift together. We have prepared designs to create a giant die (Open giant die). Laminate and glue the designs on a cardboard box filled with paper and taped closed. Hang a large piece of wrapping paper on the wall. Add a large ribbon to it, like a cross. Use various colours of Christmas bows. Attach adhesive putty under each one. Blindfold children, spin them around three times, and direct them towards the gift. 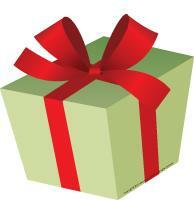 The object of the game is to stick the bow as close as possible to the centre of the gift. 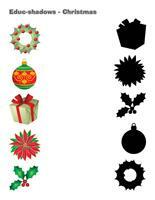 (Open lacing-Christmas) Print, laminate, and punch holes around the contour of each shape. Children can thread a shoelace or ribbon through the holes. 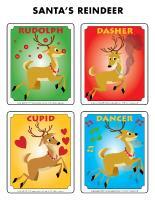 (Open game-red-nosed reindeer) Print, laminate, and cut out the red noses. Display the reindeer on a wall. Give a laminated nose to each child. One at a time, blindfold them and have them try to stick the nose as close to the correct spot as possible. 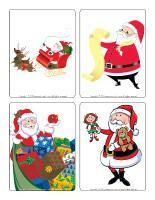 (Open Santa actions) Print and laminate the different actions. Children take turns picking a card. As a group, act out the illustrated actions. Create an obstacle course within your daycare. Deposit ornaments on cones, garlands on the floor that children must collect, large gift boxes or old wreaths children can jump in, etc. At the end of the obstacle course, set a bell that children can ring to indicate they have completed the course. Divide your group into two teams. Have them stand back to back with a child from the opposite team, holding arms. Show them how they can swing from back to front to represent a bell motion. Children stand in a circle. One child plays the role of Santa Claus and sits in the centre of the circle. He wears a Santa Claus hat on his head and hides his eyes with a scarf. The other children sing a Christmas carol. Touch a child. He/she must steal the Santa Claus hat and return to his spot, hiding the hat behind his/her back. The other children also place their hands behind their back. At the end of the song, the child in the centre of the circle removes his blindfold and tries to guess which sneaky elf stole his hat. If you wish, you may provide clues by telling Santa Claus what the elf is wearing or certain characteristics. The sneaky elf then plays the role of Santa Claus for the next round. Continue playing until each child has been Santa Claus. Choose one child who will be Santa Claus. The other children are Santa's elves. When you give the signal, Santa Claus must try to catch all the elves to bring them back to his workshop so they can continue making gifts. Variation: If your playing area if very big, you may choose another child to play the role of Mrs. Claus. She can help Santa Claus catch the elves. Arrange a few gift boxes on the floor. Children stand on a line, in front of the boxes. Have them toss shatterproof ornaments in the boxes like a bean bag toss. If you wish, you may attribute a certain number of points to each box. Have children lie down in the snow and spread out their arms and legs as much as possible so they look like stars. If possible, do this activity at the end of the day and encourage children to admire the stars in the sky. Variation: This activity can also be done indoors, right before naptime for example. It will help children relax. Hide Christmas-related objects throughout your yard. Give each child two illustrations corresponding to the objects he/she must search for. Have them deposit the items in Santa's sack or in a large gift box. One child plays the role of a lumberjack. The other children stand still, with their legs apart. The lumberjack must choose his Christmas tree. When he touches the tree he wants to cut down, he must then run away. The child/tree he touched must try to catch him. If he/she succeeds, the child who was a tree becomes the lumberjack for the next round. Children sit on their naptime mat with a partner. They take turns rolling an ornament on their partner's arms, legs, and back. Play music. Children dance throughout the daycare. You play the role of Santa Claus. When you touch a child with your magic wand, they become elves. When you touch them again, they resume dancing. The game lasts for the duration of a song. 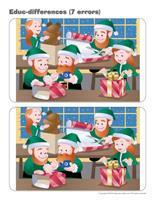 Print the five illustrations (reindeer, Santa Claus, elf, Christmas tree, and gift). Present them to your group. (Open Christmas illustrations) Each illustration corresponds to a particular action. For example, the reindeer could represent running, Santa Claus could be walking with his sack full of gifts, the elf could walk quickly and take tiny steps, the Christmas tree can swing from one leg to the other, arms alongside the body, and the gift could mean it is time to curl up in a ball. Children wear elf hats. Give them each a piece of a garland. They may wear it as a scarf. Paint their cheeks and the tips of their noses red. Take musical instruments outside and parade around the block. Take pictures of your elves. Variation for younger children: For babies, simply have a hat, red nose, and musical instrument on hand. Sing Christmas carols to them and they will enjoy their own little parade! Deposit several large Christmas images on the floor (purchase large gift bags and cut out the images). Begin the game with one image less than the number of players. This game is like musical chairs. Play Christmas music and have children dance. When the music stops, children must sit on a Christmas image. The child who does not have an image is eliminated. Remember to remove one image before starting the music again. Play this song. One child pretends to be a Christmas tree. The other children hang garlands around the child. Take pictures and print them. (Open Christmas frame) Have children cut out, color, and glue their frame to a piece of cardboard and add their picture in the centre. Deposit hula hoops on the floor. Little elves walk around them to the sound of Christmas music. When the music stops, each elf must find a home (hula hoop). Remove one hula hoop each time just as you would remove a chair in musical chairs. Variation for younger children: Encourage children to hop from one hoop to the next to the sound of music. Hold babies in your arms and hop. Children sit in a circle. To the sound of music, they pass an ornament (or stuffed animal) around the circle. When the music stops, the child holding the object must pick his/her task: laugh like Santa Claus, walk on all fours like a reindeer, paint his nose red like Rudolph, wear an elf hat, unwrap a gift while wearing mittens, etc. Create personalized Advent calendars for your group. Select different surprises with parents and insert them in sparkly envelopes numbered for each day of December. We have prepared suggestions of surprises (Open Advent calendar-Christmas). Print and place in envelopes. Leave the envelopes on the wall at children's eye level or deposit them in a special box. Each day, have a child open the envelope corresponding to the date and announce the day's special activity. 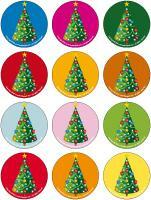 (Open educ-colors-Christmas) Print and laminate for durable, eco-friendly use. If you prefer, you may choose to print a copy for each child. Have children associate the items to the correct color by drawing a line using a crayon of the corresponding color. (Open educ-intruder-Christmas) Print and laminate. Children must find the six intruders hidden in the scene. (Open educ-pairs-Christmas) Print. Children must color identical items using the same color or dry a line between them. For durable, eco-friendly use, laminate for use with a dry-erase marker. (Open Junior Sudoku-Christmas) Print the grid and the cards. Laminate and cut them out for extra durability. Children must place the cards on the board while respecting traditional Sudoku rules: there may not be two identical items in a column or row. 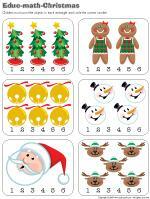 (Open educ-big and small-Gingerbread) Print the cards. Invite children to arrange the items from smallest to biggest or biggest to smallest. (Open educa-duo-Christmas) Print and laminate for durable, eco-friendly use. Children must dry a line between items that form a duo. (Open educ-trace-Christmas) Print for each child. Children must trace the dotted lines using the corresponding colors and then color the objects. 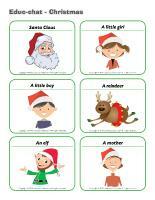 (Open educ-differences-Christmas) Print and laminate for durable, eco-friendly use. Children must identify the differences between the two pictures and circle them with a dry-erase marker. 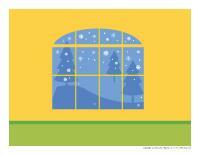 (Open educ-shadows-Christmas) Print and laminate for durable, eco-friendly use. Children must draw a line between each shadow and the corresponding item using a dry-erase marker. (Open Color by number-Christmas) Print for each child. Children must follow the color code to complete the picture. (Open educ-math-Christmas) Print and laminate to ensure its durability and to protect the environment. Children must count the objects in each rectangle and circle the corresponding number. (Open educ-same and different-Christmas) Print and laminate to ensure its durability and to protect the environment. Children must circle the illustration which is different in each row. (Open educ-ascending and descending-Christmas) Print and laminate. Children must place identical illustrations in ascending or descending order. 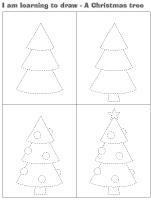 (Open sequential story-Christmas tree) Print and laminate the sequential story. Encourage children to place the illustrations in the correct order. (Open magnifying glass game-Christmas) Print and laminate the board game and the illustrations. Cut them out and store them in a box or in a plastic bag. Children pick an illustration and search for it on the board game, using a magnifying glass. Once they have found a match, they deposit the illustration in the correct square, on the board game. 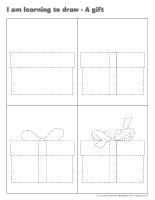 (Open educ-association-Christmas 1) Print the pages and follow the instructions included in the game to assemble everything in a file folder. Children must associate the illustrations according to the instructions on the board game. Once they have found the correct association, they must deposit it in the corresponding square using Velcro or adhesive putty. (Open puzzles-Christmas) Print, laminate, and cut out the pieces. Children must recreate the picture with the puzzle pieces. (Open game-Holidays) Print, laminate, and cut out the pieces. Using Velcro, children associate the cards to the correct holiday. 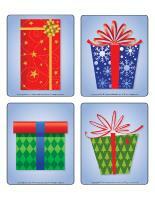 (Open game-Big and small-Christmas) Print and laminate the game. Children must determine the order of the cards...from smallest to biggest. Children place the cards in the correct order on the board game using Velcro or adhesive putty. 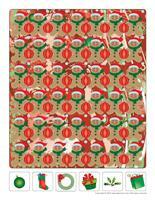 (Open educ-pattern-Christmas) Print and laminate. Children must complete each pattern by placing the correct illustrations in the squares using Velcro or adhesive putty. 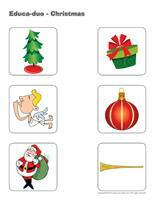 (Open game-Lotto Christmas) Print and laminate the cards and the illustrations. Give each child a card. Deposit the illustrations face down on the table. Children take turns picking an illustration. The child who has the illustration on his card places it in a square at the bottom of his card. The first child to complete his card wins. On a large white piece of cardboard, trace a tic tac toe grid. (Open game-Christmas tic- tac-toe) The candy canes replace the "X's" while the ornaments replace the "O's". Children take turns depositing the symbols on the grid. The first to line up three identical symbols in a straight line or diagonally, wins. Variation for younger children: Place a few tic-tac-toe grids on the floor. Let children deposit the images in the squares as they please. (Open hunt and seek-Christmas) Print and laminate. Children pick an illustration and search for it in the larger picture. Print a picture of Santa's workshop or a gingerbread house. Cut out the windows and the door so children can open them. Hide a picture behind the workshop. Allow children to open the windows and door to peek inside and ask them to guess what is hiding in the house. To make it more difficult, let them open a single window at a time. Use empty yogurt containers to build pyramids which look like Christmas trees. Make small ones with individual containers or large ones using large containers. Variation for younger children: Show them how to build pyramids. Watch how much fun they will have making them fall down! (Open memory game-Christmas) Print. Glue the illustrations on cardboard which can be laminated. Children must turn over two illustrations and associate two identical illustrations. Store the game in a small Christmas box and leave it in your calm area. Suggestion: Use the tops of frozen juice cans. Glue Christmas stickers on one side. Make sure you have two copies of each sticker. (Open bingo-Christmas) Play bingo with the group. Print, laminate, and store in a Christmas gift box. 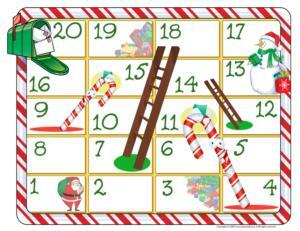 (Open snakes and ladders-Christmas) Print and laminate. Use a die and wrapped Christmas candy pieces as playing pieces. The object of the game is for all children to reach the end of the game. Once everyone has succeeded, they may eat their candy. Show children a Christmas item you are about to hide. Have them hide their eyes while you find a hiding place. When you give them the signal, they can search for it. Tell them individually whether they are "hot" or "cold". As soon as a child has spotted the object, he joins you. Continue the game until everyone has found it. Children who know where the object is hidden may help you guide their peers. (Open Dress-up dolls-Christmas) Print and laminate. Present the pieces to children. They will enjoy dressing the dolls. (Open perpetual calendar-Pyjama Day) Invite children to wear their favourite pyjama to daycare. You must also do the same. Allow them to bring their blanket or teddy bear too. They may present them to the group. Serve hot chocolate at snack time. For lunch, serve breakfast. Organize an activity involving cushions children can throw and catch. Play movies and allow free play throughout the day. Throughout the week, children craft a gift of their choice. Arrange for children to exchange gifts using mittens. Deposit pairs of mittens in a bag. One by one, children pick a mitten from the bag and exchange gifts with the child who has the matching mitten. Prepare a recording of the group singing Christmas carols. They will love listening to themselves. It also makes a great gift for parents or grandparents. Children pretend to be Santa's elves. Deposit wrapping paper and ribbon in the center of the daycare. Invite children to wrap toys which can be found in the daycare. When they are done, pretend that it is time to open the gifts. They will have fun tearing the paper! 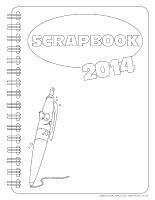 (Open scrapbook 2014) Print several copies and have children colour the different pages. Take pictures of children and add them to their scrapbooks. Add personalized comments. Glue the cover page on heavy cardboard and join the pages together. (Open scrapbook-Christmas 2013) Print this new scrapbook page for each child. Add it to their scrapbooks. (Open Santa's clothing) Print and laminate Santa's clothing. Drop the items in a large gift bag or gift box. Children take turns picking a card. 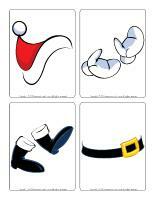 Name the clothing item and encourage children to act out Santa Claus putting the clothing item on. Combine 1 cup of water and 2 cups of cornstarch. The mixture is ready when it can easily be detached from the sides of the bowl. The mixture seems liquid but if you hit it, it will not splash. The phenomenon is that the mixture is a liquid when it is not under pressure, yet it is a solid when under pressure. Give each child a small handful of the mixture. Suggest they make a ball with the magic snow. Children will quickly notice that the ball keeps its shape when they press on it but becomes liquid in the palm of their hand when they stop manipulating it. If you are doing this activity indoors, the activity can be done over a table. Have children wear their paint smocks. Cornstarch does not stain. Once the activity is over, simply brush children's clothes. Fill a clear plastic container (mayonnaise, peanut butter, etc.) with rice. Insert a variety of Christmas-related items such as tiny erasers, figurines, miniature ornaments, etc. Seal the lids with hot glue. Children will enjoy moving the containers to make the rice move around and discover the items. Variation: Fill several containers with rice and add items of a single color to each one. Pour flakes of artificial snow on a table or in a container. Give each child a drinking straw and have them blow in it as hard as they can to create a snowstorm. Warning: This activity must only be done with children who understand how to blow in a straw. With younger children, do this activity with cotton balls. Present a simple observation game for your group. Have children collect all the red items they see in your daycare. When they are done, repeat the activity, having them collect green items this time around. Collect pine tree branches and let children manipulate them. Give them magnifying glasses so they can study them closely. Encourage children to notice the characteristics of coniferous trees. 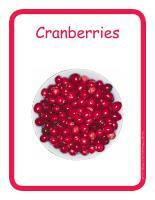 (Open educ-poster-Cranberries) Print and laminate the posters and use them to present the food item to your group. The posters will make it possible for children to discover different forms of everyday food items. Display them near the table where children eat or in your kitchen area. Insert cloves into the entire surface of the orange. A clementine is a great alternative for little ones. The surface is smaller and the peel is thinner. Put the cinnamon in the "Ziploc" bag. Place the orange in the bag and shake to coat the orange with cinnamon. Remove the orange from the bag and tie a ribbon around the orange in two directions like a gift. Add another ribbon to hang your ball. Hang from a door frame or in your Christmas tree. Deposit cereal in the centre of the table. Each child finds a partner. Give each team a long piece of string. Children hold one end of the string and thread Froot Loops cereal on the string until their garland is complete. 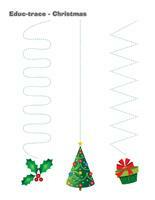 Tie the ends and hang in your Christmas tree. Children will love snacking on the cereal! Purchase tea biscuits such as "Social Tea" cookies. Assemble them with icing to make them look like tiny houses. Completely cover them with icing and decorate with small candy pieces. Variation for younger children: Watch out for candy pieces which are very small. Replace icing with pudding. Larger cookies may ease manipulation. Be sure to have several towels nearby for cleanup! At snack time, keep orange or clementine peels. Add them to small pieces of thin fabric (lace or netting) along with cinnamon stick pieces and five cloves. Gather the fabric and tie with ribbon. Hang the potpourri in the Christmas tree until you are ready to give it away. You may also boil the preparation in a small pot. It will fill the daycare with a comforting Christmas scent. Give each child a pointy ice cream cone and have them deposit it upside down on a plate. Cover it with green frosting and let children decorate it with colourful candy pieces. If you wish, you may also spread white frosting in the bottom of the plate to represent snow. Give each child an orange. Make holes in the orange using a knitting needle and insert cloves in the holes. Roll the fruit in cinnamon to coat. Tie a ribbon around the orange and drop it in a brown paper bag. Seal the bag and set it aside for two weeks. Hang the orange and enjoy the Christmas scent. (Open puppets-Christmas) Print the models on heavy cardboard. Have children cut them out and decorate them with a variety of materials. Glue a Popsicle stick behind each model to create puppets. 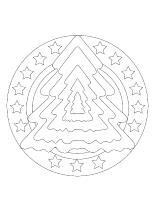 (Open mandalas-Christmas 2013) Print for each child. Encourage children to color the mandalas as they wish. 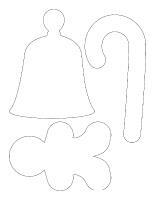 (Open stencils-Christmas) Print and cut out the stencils. Children can use them to trace and paint items related to the theme. 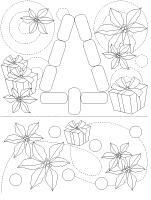 (Open coloring pages theme-Christmas 2013) Print for each child. Join the pages together using a hole-punch and ribbon. Throughout the month of December children can enjoy coloring the Christmas pictures and give them to their parents as a gift. 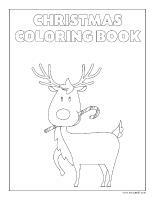 (Open creative coloring-Christmas) Print for each child. Have children complete the picture by drawing what they see in the snow globe. (Open creative coloring-Christmas 2) Print for each child. 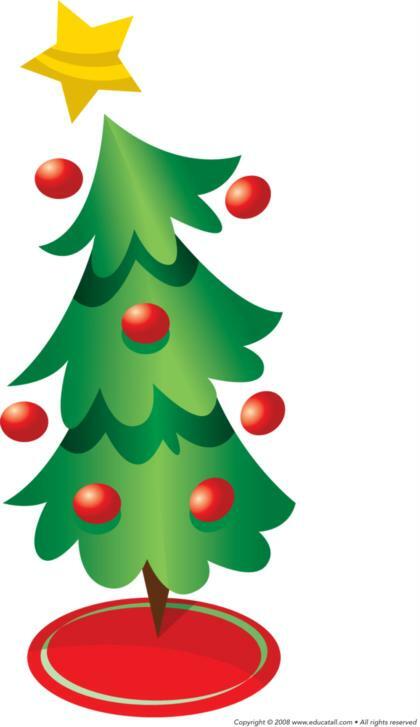 Have children complete the picture by drawing the decorations they would add to the Christmas tree. 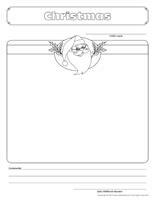 (Open I am learning to draw-A garland) Print and laminate the model sheet. Invite children to practice their drawing technique on the model sheet. Later, they can try to draw a garland on their own. 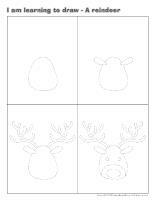 (Open I am learning to draw-A reindeer) Print and laminate the model sheet. Invite children to practice their drawing technique on the model sheet. Later, they can try to draw a reindeer on their own. (Open I am learning to draw-A gift) Print and laminate the model sheet. Invite children to practice their drawing technique on the model sheet. Later, they can try to draw a gift on their own.